Sometimes it is hard to recommend a camera not because it is bad, but simply because there are better options available for the same or even a lower price. The Simmons Whitetail Trail Camera with Night Vision is a pretty decent 4 megapixel game camera, but it doesn’t really offer anything that you can’t get from the Moultrie A5 or Primos Truth Cam. 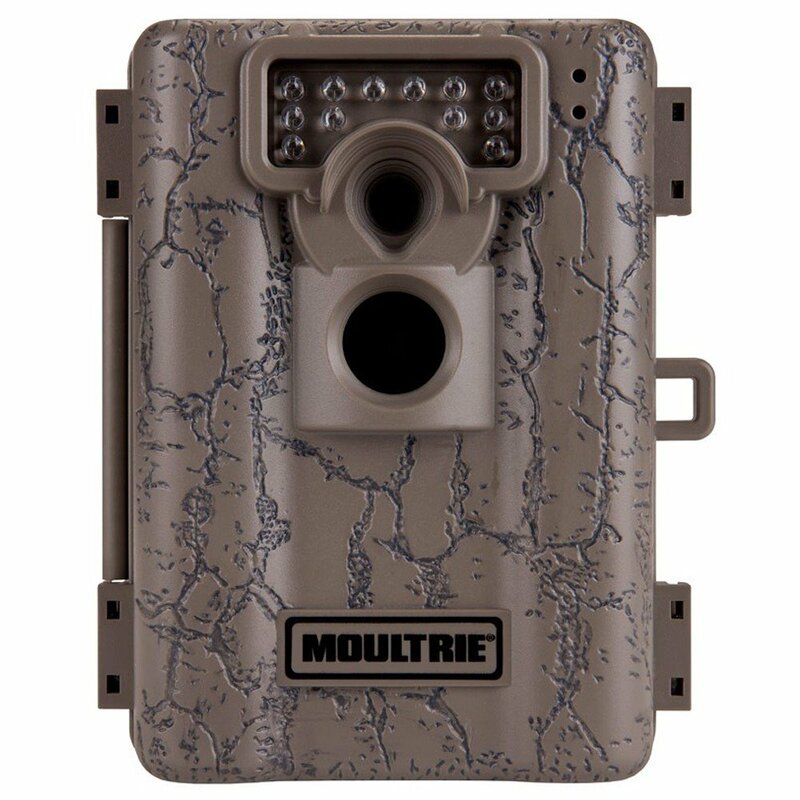 It is a competitively priced offering and if the other options are not available you won’t regret purchasing this camera, but given the choice I would pick the Moultrie A5 every time. For its compact size the Simmons Whitetail is quite a durable product and I was impressed by its construction. It is meant to be used outdoors, so it is obviously weatherproof and able to withstand the elements. I have experienced no issues with the durability myself and heard very few complaints from other customers, so the durability of the Simmons Whitetail Trail Camera should definitely not be a concern. Simmons kept the design of the Whitetail Trail Camera fairly simple and straightforward with a compact casing. The PIR motion sensor, camera lens and infrared LED array is visible from the front of the camera, while on the side you will find a padlock hole for extra security. The case also has a tripod socket at the bottom and unlatching the front reveals a USB port, SD card slot and battery compartment. A simple power switch turns the unit on and off while four buttons operate the text LCD display. 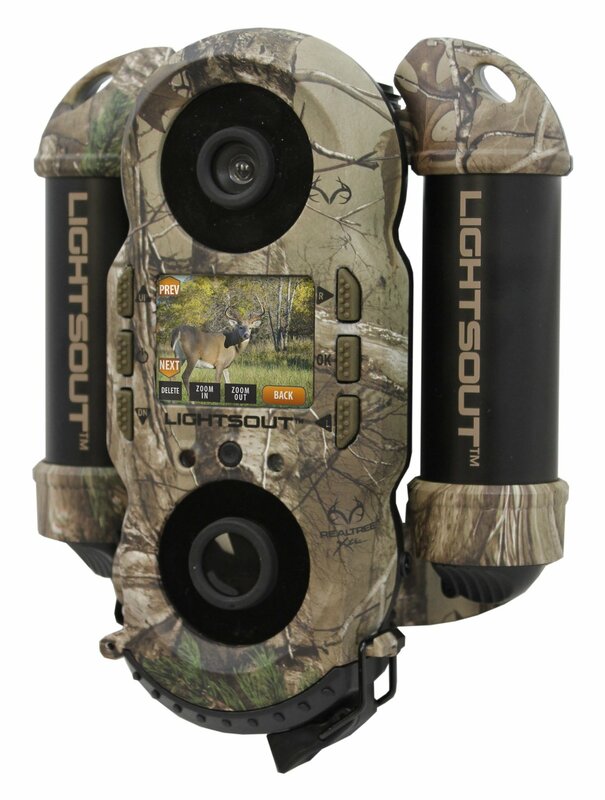 The design is uncluttered and very easy to use so the Simmons Whitetail Trail Camera scores high in this department. The LCD makes it easy to adjust the settings on the camera such as the date/time, trigger delay and image resolution. The SD card can also be formatted straight from the camera although there is no way to view the images or photos out in the field as with some of the high-end cameras. Considering the price of the camera this is to be expected though. The size of the camera is definitely an advantage, especially if you have to set up multiple cameras out in the wild and don’t like carrying a lot of weight with you. The Simmons Whitetail Trail Camera isn’t going to blow you away with a wealth of features, but it does have all the basics covered. It is able to take images in 2 or 4 megapixel mode which is generally adequate for clear images of what is roaming around. It can also capture videos during the day or night, but these are limited to a resolution of 640×480. The camera has a daylight autosensor, so it is able to automatically adjust the image settings depending on whether it is day or night. The motion-activated passive infrared sensor has a range of about 25 feet while the 15 low glow LEDs are effective up to a range of 30 feet. Considering that the Primos Truth Cam 35 has a nighttime range of about 40 feet and the Moultrie A4 boasts a coverage range of up to 50 feet, the range on the Simmons could definitely have been better. Photos taken with the camera can have the date, time and moon phase information stamped on them, but I was a bit surprised that there is no way to view how many photos have been taken without inserting the SD card in another device. 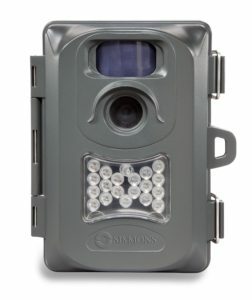 Apart from the range with is a bit of an issue, the Simmons Whitetail Trail Camera doesn’t have a lot of faults. Some factors like being able to review the photos on the device or see how many photos it took is obviously inconvenient, but these are features typically found on much more expensive cameras. Let’s take a look at the pros and cons of the camera to see how it fares against the competition and whether it is worth the investment. Simmons is a well known brand in the hunting field thanks to their riflescopes and binoculars, but their Whitetail Trail Camera just doesn’t have the same wow factor as the others that we tested. It is by no means a bad camera, just one that is outclassed by other trail cameras in its price range. It has all the basic features that you would want from a game camera, but it doesn’t really excel in any area. 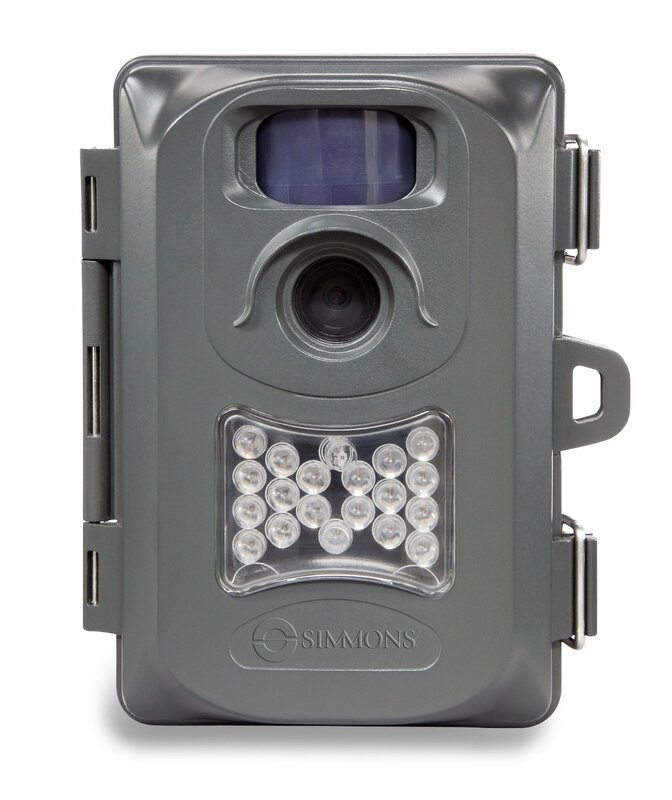 Like many of the cheaper cameras, the Simmons Whitetail Trail Camera is more effective if you expand its coverage with more than one camera and if you do so you will appreciate its compact size. If you are looking for something that is very easy to use and reliable then you will like the Simmons Whitetail Trail Camera, but it is important to keep in mind that there are better alternatives available in the form of the Moultrie A5 or Primos Truth Cam.